The players competing for Wales C did the Welsh Premier League no harm with another spirited and committed performance in last night’s 2-2 draw with their English non-league counterparts. The second annual meeting between the two teams proved to be another entertaining and well-contested affair which will only whet the appetite for further Wales C fixtures. Wales cancelled out England’s lead twice to earn a deserved draw at the Peninsula Stadium, Salford, the home of Salford City. Kayne McLaggon reacted quickest to steer in Clayton Green’s delivery six-minutes after England had opened the scoring. England led again in the opening stages of the second-half, but Wales were able to restore parity when Cardiff Met’s Adam Roscrow latched onto Aeron Edwards’ clever pass with a confident finish. It was a credit to both teams that the game never once felt tepid or laboured as non-competitive internationals often do and the game possessed a real competitive edge of determination that even threatened to boil over. 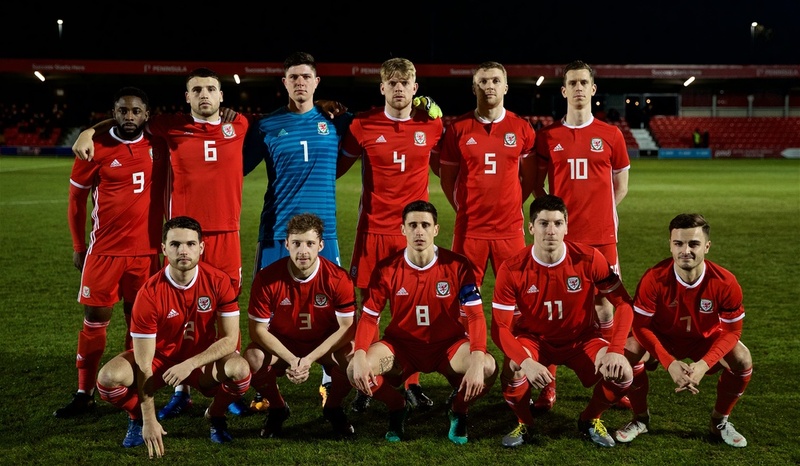 Wales manager Mark Jones and his staff must take some credit for just how they’ve been able to galvanise the squad of players scattered throughout the Welsh Premier League and shape them into a hard-working team with a strong desire to come out on top. “We play in opposition teams on a Saturday, it shows that this league is together. It was a big group effort, it wasn’t just the 11 or 16 on the pitch, it was a big group effort this week.